The Gio Monaco brand was named after Guido Monaco, the medieval inventor of musical notes. It is only fitting that this illustrious name now graces the dial of a special watch that measures time with it’s own unique harmony, melody and sense of rhythm. The Gio Monaco Hypnos Automatic is a spectacular work of the watchmaker’s art. Meticulous design, careful color selection, precise construction and the use of exclusive materials all combine to give this unique timepiece a magic all its own. This oversize 46mm beauty features a distinctive black and white dial with bold, stylized roman numbers. The precisely engineered black PVD dodecagonal stainless steel case is a work of art. A unique twelve-sided black PVD bezel accents the hour markings on the dial, while a bright red second hand provides a dramatic contrast to the black and white lettering. 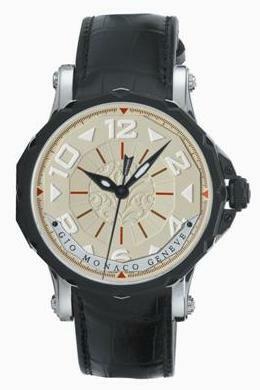 Completing the design is the trademark Gio Monaco dodecagonal crown with its unique screw-down crown protection. This exemplary timepiece is powered by a high quality Swiss made ETA 2824-2 automatic movement and is water resistant to 165 feet. The watch is equipped with an anti-reflective sapphire crystal and is fitted with a handsome black genuine alligator leather strap. Gio Monaco’s founders, Guiseppe and Michele Ascione, have a passion for fine timepieces. If you share their passion, you’ll see the connection they’ve made between the notation of music and the measurement of time and you’ll want one of their special melodies on your own wrist. To reserve your Gio Monaco Hypnos Automatic, contact your nearest authorized Gio Monaco dealer today. 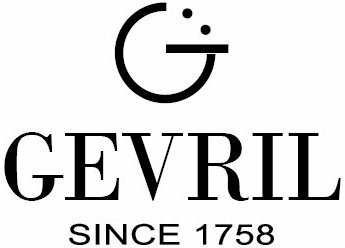 Gevril Group is the sole US agent for Gio Monaco Watches. Contact us, by email or at 845-425-9882. Please subscribe to the Gevril Group newsletter and blog digest. Your comments are welcome.